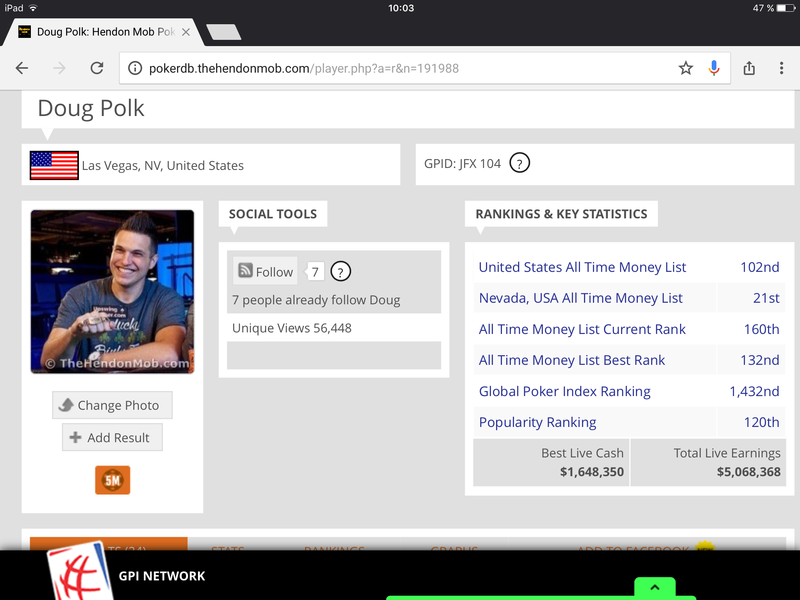 I like Doug Polk, he gives great analysis makes interesting videos and plays great poker. His Hendonmob profile shows a healthy $5,068,368 of tournament winnings and $577,266 at high stakes on line with Pokerstars where pots range from $20K to $100K. 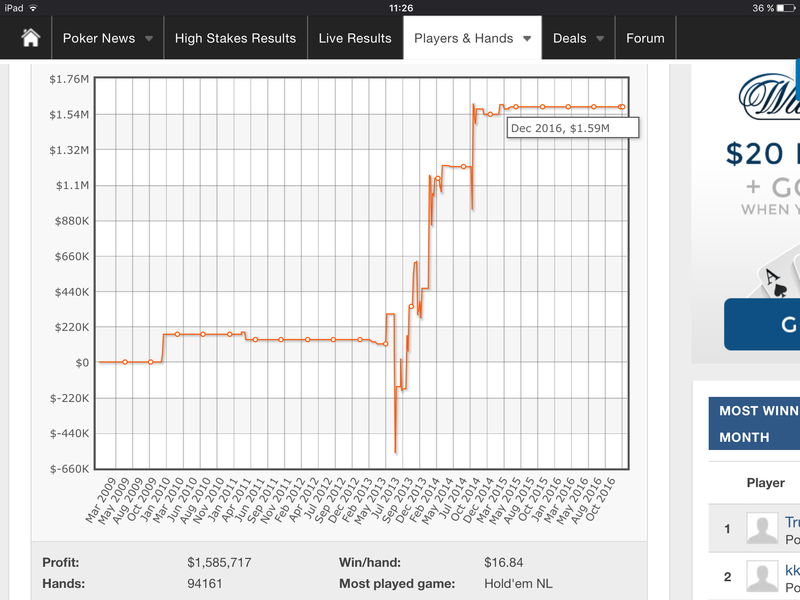 Key point is how big is your edge online when six years of winnings can be wiped out in 5 hands? 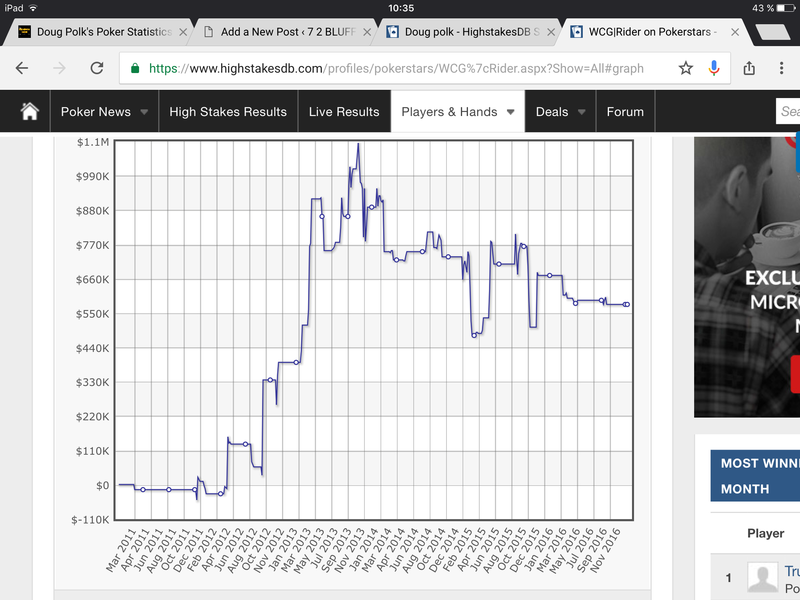 He was up $1.09M in Nov 2013 and is down $513K in just over the 3 years all of which are losing ones with PokerStars.